Prepare an emergency kit or restock the one you have. Include batteries, flashlights, cash, and a first aid kit. Disconnect any electrical appliances. Warning: do not touch electrical equipment if you are wet or standing in water as this could result in electrocution. Turn off the gas and electricity at the main valve or switch. This will prevent fires and explosions. The Federal Emergency Management Agency warns that you should check for any visible structural damage, such as warping, loosened or cracked foundation elements, cracks, and holes before entering the home and contact utility companies if you suspect damage to water, gas, electric, and sewer lines. Before you remove any water or make any repairs, fully document the damage for your insurer by taking photos or video. Even if the water in your home is clear, it could be contaminated by sewage or household chemicals. In Wear waders, hip- or waist-high waterproof boots, rubber gloves to remove water-damaged possessions and to avoid contaminants. Throw out any food that may have come into contact with flood waters. FEMA recommends boiling water until authorities declare the water supply is safe. Notify your insurer as soon as possible after the flood. 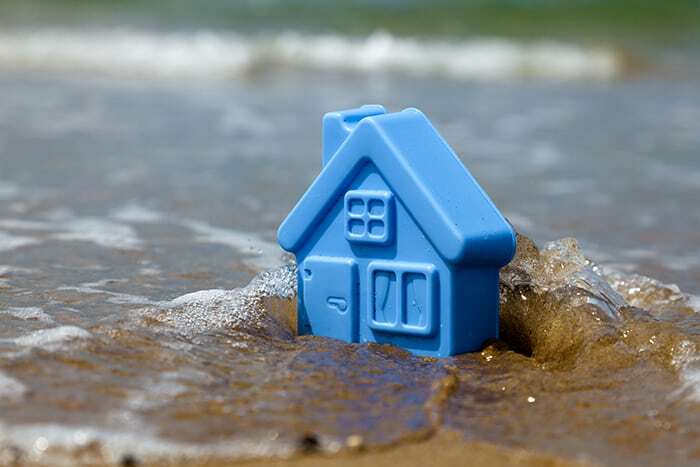 In cases where a flood has affected a region or community, your agent may be busy handling his or her own flood issues. In that case, contact the insurance company’s headquarters. Once a region has been officially declared a “disaster area” by government authorities, property owners have access to increased resources, public services, and access to financial assistance in some cases. Your insurance company will have additional information on this or you can contact FEMA directly. Once you get the OK from your insurer to remove the water, use a sump pump, available from most hardware or home supply stores, and a wet vac. Water is heavy, so be careful not to injure yourself, especially if you’re carrying buckets of water up and down stairs. Mold can develop within 24 to 48 hours of a flood, so remove wet contents, including carpeting and bedding, as soon as possible. If an item has been wet for less than 48 hours, it may be salvageable. Mold infestations can occur for a number of reasons, such as pipe leaks, rain water, and contaminated water. 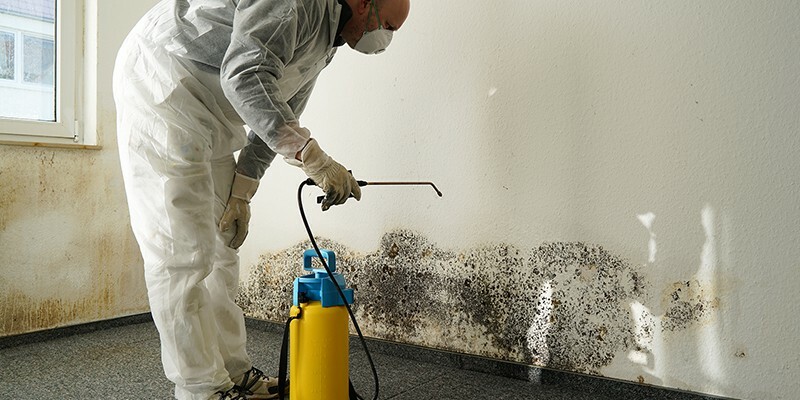 When an area is often or always damp it can be a breeding ground for mold. One example is the bathroom. If you are experiencing mold growth in the bathroom, increase the ventilation by opening a window or turning on a fan. Clean any hard services with detergent and water to prevent mold from reappearing or keep it to a minimum. Porous and absorbent materials, such as carpet or ceiling tiles, may need to be thrown out if they become moldy. This material is very hard to clean as mold can fill in the crevices making it difficult or impossible to permanently remove. Fix the plumbing and other water problems if mold is being caused by leaky pipes. Make sure to dry all items and areas that have been exposed to moisture to avoid mold from forming. If you are painting a moldy area in your home, do not paint over moldy surfaces as this can cause the paint to peel and mold to spread. Contact 911 Restoration of Westchester at 914-222-4052, or visit their website, for a free water damage estimate, insurance consultation, and complete home restoration.